Many people do not know that they have the habit of skin picking until it becomes a serious disorder called neurotic excoriation. This disorder can cause emotional distress and embarrassment due to the appearance of wounds and lesions after the picking. However, most of the patients do not concern about how to stop their problem. Additionally, a few treatments for skin picking can cause serious and harmful side effects. 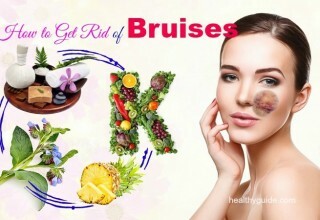 To help you stop the habit of picking skin, there are a variety of methods for you, but natural treatments are highly recommended at the first time of the disorder. Now, in this article, we want to show you some of the simplest tips on how to stop skin picking on scalp and fingers that have been proven to be useful for dealing with this disorder. So, keep reading on Healthy Guide right now! It can become a very serious disorder with the name “Compulsive Skin Picking” disorder. It is marked by many physical conditions such as scarring, severe tissue damage and discoloration. More importantly, emotional and mental damage such as social withdrawal, anxiety, low self-esteem, depression, etc. caused by this disorder could be more difficult to resolve. Genetics: According to a study , people who have a family history of excoriation disorder or some other related diseases would be at higher risk. Stress: Current study has found that picking the skin is the way to help some people cope with stress in their lives. Fortunately, people with skin picking disorder have a few treatment options to choose from. 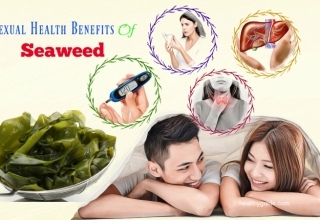 These remedies are various, ranging from medication to alternative holistic care to behavioral therapies. 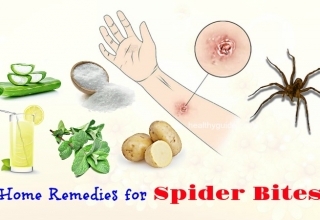 If you suffer from skin picking disorder and want to get rid of this awful disorder, then the following home remedies can be helpful. List of Top 48 Best Home Remedies For Stress Relief And Removal will show you some of the natural treatments for stress that you can apply with ease at home, so check it out! This trick may be a simple yet very effective way on how to stop skin picking on fingers. 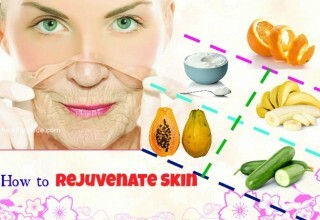 This is because when you do not touch your skin by yourself, you will be able to reduce the urge to pick skin. Therefore, you should try to limit the number of skin touching. 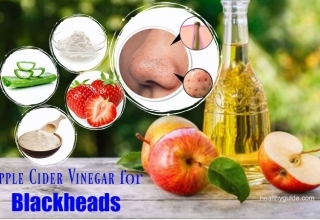 You can use sponges, brushes to apply makeup; use some cotton pads to apply toner or remove your makeup; use a facial brush when washing your face; and use a loofah or washcloth when taking shower. 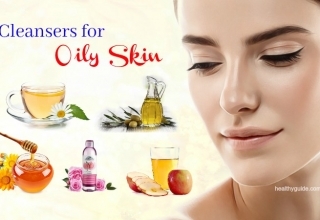 Read on 32 Best Ways On How To Remove Dead Skin Cells Naturally to discover some of the best natural remedies to get rid of dead skin cells. This is the second trick on how to stop skin picking on fingers and scalp that we want to mention in this article and want all of my readers who have this disorder to apply for good. When you use bathroom or when you get the urge to pick the skin, you should set a timer. When the timer is over, you have to stop what you are doing right away. Actually, an easy distraction may be what you need to stop your habit. When it comes to learning how to stop skin picking on fingers and scalp, you can consider reducing light. If possible, you should also take a shower or bath or go to the toilet in either dimmed or dark light. This is because reduced light will help to reduce the ability to see everything and prevent you from picking your “imperfections” on the body. 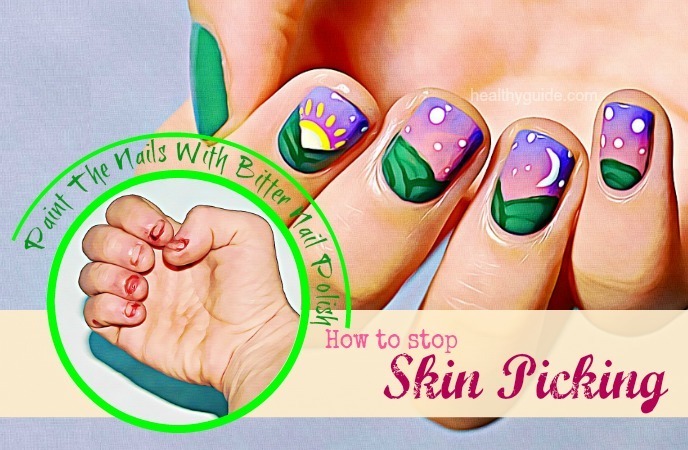 Another out of the best ways on how to stop skin picking on fingers that you should try is that you should pain your nails with a bitter nail polish. Actually, the bitter taste will be able to prevent you from picking the skin. If you want to stop skin picking, you can try covering your fingertips with bandages. You can wear them throughout the day to prevent the urge to pick the skin on fingers. The feeling of self-consciousness and embarrassment when wearing bandages in public will be able to help you stop your habit. Alternatively, you can try using clear tape or wearing gloves to cover your fingers. Actually, this is known as one of the best ways on how to stop skin picking on scalp that you should not look down, yet try covering your fingers in order to help you stop this bad habit effectively. Another natural way on how to stop skin picking around nails, on fingers and scalp is moisturizing your skin, which is highly recommended by those who have succeeded in stopping this habit. Actually, to stop skin picking on fingers, you can try moisturizing your skin and adding it to your daily skin care routine. This method can help you get rid of dry patches, which could be a triggering factor for your skin picking disorder. This sounds strange when it comes to learning how to stop skin picking around nails, on fingers and scalp, but it actually does work. You should invest in some fidgets, which you could reach for whenever you have the urge to pick your skin. Fidgets that you should make use can be spinner rings, stress balls, bubble wrap, silly putty, play dough, beaded bracelets, etc. 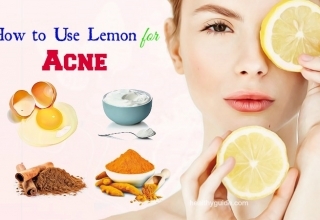 This is also a great way for you on how to stop skin picking around nails, on fingers and scalp because it can help to prevent you from picking your skin. According to a study about skin picking disorder , you should cover up the skin as much as possible. For example, you can wear long sleeves and long pants in order to prevent you from having the urge to pick. In case the weather is hot, you should try wearing sheer stockings in order to create a barrier while still allowing your skin to breathe comfortably. This is worth mentioning in this list of great ways on how to stop skin picking on scalp that you should try out! If your fingers are occupied, you will not be able to pursue this habit. After using it for several weeks, your urge to pick the skin on your fingers should go away. To keep your fingers busy, you can consider doodling, knitting, sitting on your hands, or folding your fingers together. When you are looking for great ways on how to stop skin picking on fingers and scalp, you can try muscle relaxation techniques. You can try these techniques to relieve stress and simultaneously distract yourself from skin picking. Also, when you feel anxious and bored, try these techniques to calm down yourself. At first, try to tense the muscles in your arms as much as possible. At the same time, breathe in and keep your muscles tight for about 5 seconds. Then, breathe out and relax your muscles for about 15 seconds. After that, tense your other muscles such as abdomen, thighs, back muscles, etc. and breathe in for about 5 seconds. Breathe out and relax for about 15 seconds. Continue this process until all of your muscle groups are relaxed. If the urge to skin-pick has not subsided, repeat this process. According to a research about mindfulness to treat body- focused repetitive behavior , mindfulness is another great way on how to stop skin picking on scalp that can help you get distracted by anxious or bored thoughts. When you do not know what is going on, you will be less likely to unconsciously pick the skin on fingers or scalps. When you feel that a stress is attracting your mind, you should concentrate on your physical senses. Try to focus on your present moment till the urge to pick passes. Stand up straight while keeping your head upright and your shoulders back. Slowly breathe in so that both of your stomach and chest move out. Then, breathe out and allow your stomach to recede. Keep breathing deeply for at least 5 minutes or until you do not want to pick your fingers anymore. There are some other effective ways on how to stop skin picking around nails, on fingers and scalp in this interesting article. So, you should keep both of your eyes on the rest of this article and then try to apply one or more of these natural treatments for good. Acupuncture: This ancient Chinese practice involves in inserting needles into some certain body’s areas. Hypnosis: This involves in tapping into your unconscious mind as well as some other steps to relieve stress and anxiety. Yoga and meditation: These practices are helpful in treating both of the mental and physical symptoms of anxiety. Some certain lifestyle habits can cause stress, making your condition worse. Therefore, you can deal with anxiety and stress by making some simple changes in order to help you kick your bad habit. Follow a healthy diet: Consuming almonds, whole grains, blueberries and maca root can help reduce your anxiety. Also, you should avoid consuming refined sugar- rich foods. Limit the intake of alcohol and caffeine: Keep in mind that both of these beverages can cause anxiety to become worse. Exercise regularly: Doing regular exercises can help release the hormone called endorphins to reduce stress and anxiety. Have enough sleep: According to a study about stress and sleep , having plenty of sleep has been found to help reduce anxiety. You can try writing in a journal that details all of your depression and anxiety. Also, you need to write down the times when you have the urge to pick your fingers. Studies found that these compulsive behaviors can be caused by anxiety  as well as other negative feelings. So, you should consider consulting a counselor to deal with your emotional and mental health. This is the last but very effective one among effective ways on how to stop skin picking around nails, on fingers and scalp that we want to mention in this article. Ask a friend or a family member to point out whenever you pick your fingers in order to help you stop this bad habit. You should choose somebody who will not respond negatively whenever she or he notices your behavior. 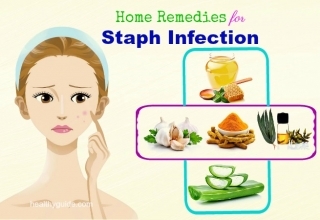 The full article today shows you some of the best methods on how to stop skin picking on scalps and fingers you and other readers who are concerning about this disorder should know and then try to apply for good. 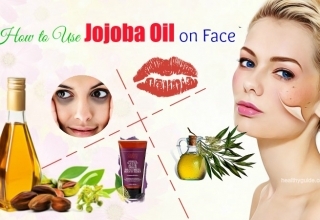 Actually, all of the natural treatments as we mentioned above are 100% natural and also very safe to apply at home. 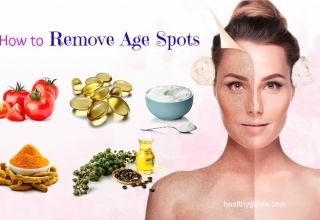 Therefore, you do not need to worry when applying any of these treatments at the comfort of your own home. Now, do let us know if this article is helpful and can help you and other people around you resolve this disorder. Also, if you know other natural ways on how to stop skin picking around nails, on fingers and scalp, remember to leave your comments in the comment section below. We will try to reply as soon as possible.